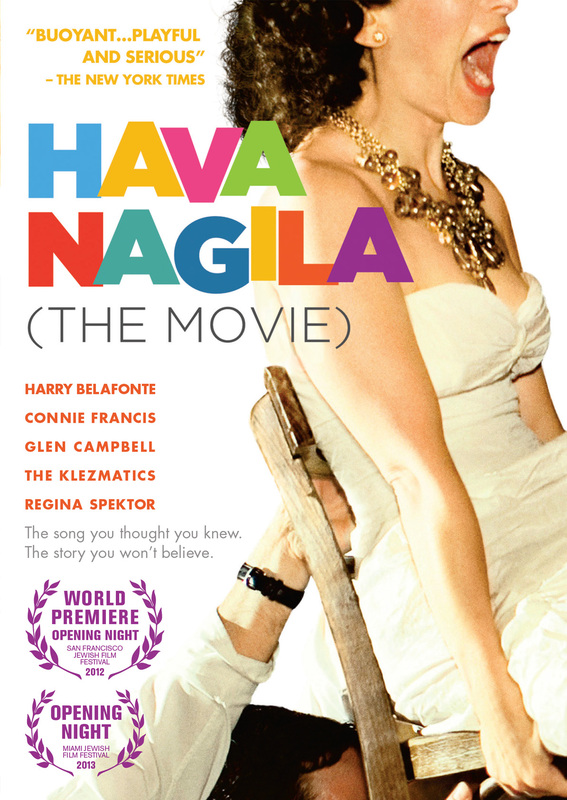 HAVA NAGILA (THE MOVIE) is a documentary romp through the history, mystery and meaning of the great Jewish standard. Featuring interviews with Harry Belafonte, Leonard Nimoy, Connie Francis, Glen Campbell, Regina Spektor and more, the film follows the ubiquitous party song on its fascinating journey from the shtetls of Eastern Europe to the kibbutzim of Palestine to the cul-de-sacs of America. ©2012 Katahdin Productions. All Rights Reserved. Art and Design ©2013 Cinedigm Entertainment Corp. All Rights Reserved. Marketed and distributed in the U.S. by Cinedigm Entertainment.